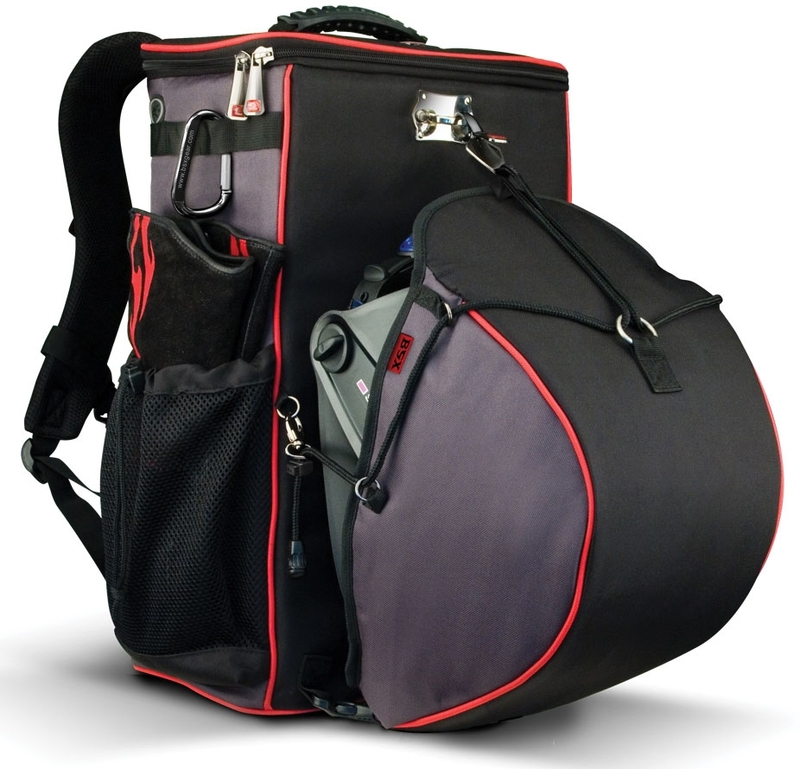 Designed exclusively for welders, the GB100 BSX® gear pack offers numerous innovative and thoughtful features. The exclusive quick-action HelmetCatch™ makes this gear pack stand out above all others. It introduces a secure 5-point rigging system and fast drawbridge action designed to make protecting your helmet a snap. The padded construction of the HelmetCatch™ helps protect the expensive lens from bumps and scratches, while the unique shape accommodates welding helmets of all sizes. 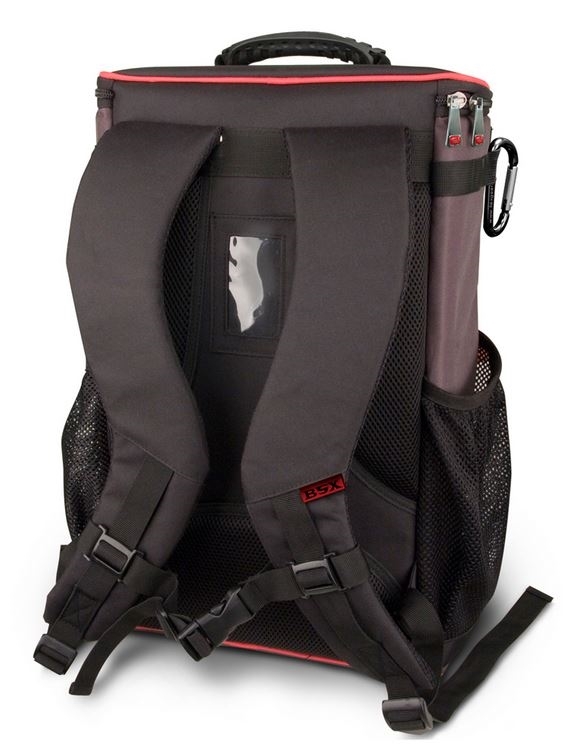 The gear pack itself can be worn over the shoulders as a rugged backpack with fully adjustable ergonomic straps, or it can also be carried by its sturdy, rivet-reinforced top handle. Constructed with rigid walls, the GB100 supports a welding helmet and heavy duty welding gloves on the outside, while leaving plenty of storage room within. 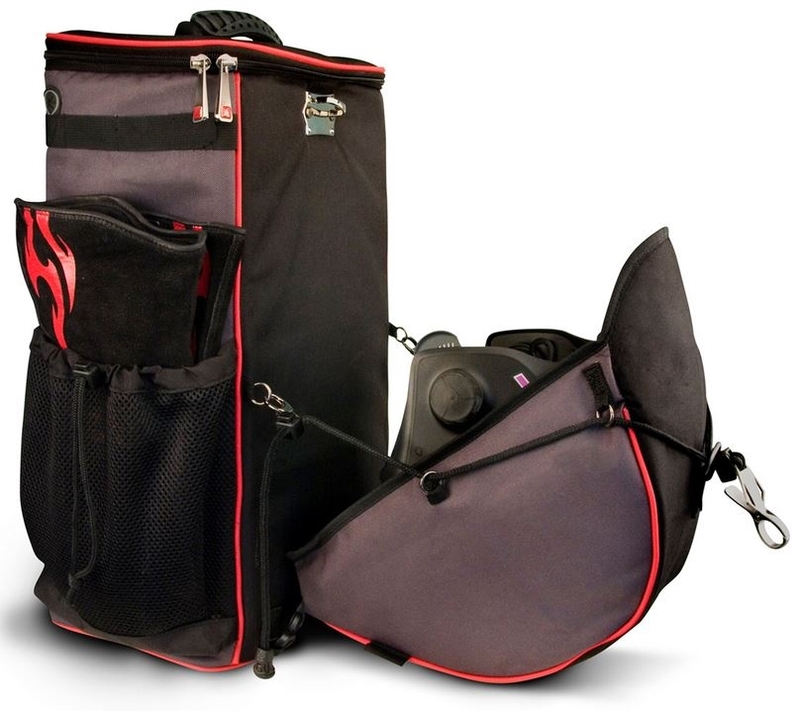 The inside features pockets designed to organize hammers, brushes, tip cleaners, electrodes and more. A utility carabineer and a free lunch cooler are also included with the package.